(Verisign), Total Intelligence Solutions, and numerous other companies. Matt is a member of the Black Hat advisory board, was an adjunct computer science professor at Georgetown for 14 years, and was an appointed advisor to the Department of Defense. 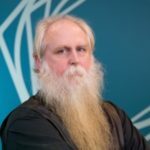 He is also on the Advisory Board for the D.C.-based non-profit, MissionLink, which has helped over 100 early stage companies identify mission and market requirements, a Mentor at the Virginia cybersecurity accelerator Mach37 and Founding Director of the Cyber Conflict Studies Association. For more details, please see www.devost.net. A regular, featured speaker at many marque conferences, Jack is widely considered a leading technology community activist. He is co-host of Security Weekly and served as director of the National Information Security Group (NAISG). 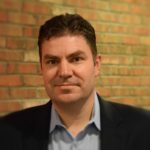 He is co-founder of Security BSides, and his Uncommon Sense Security blog has been named to the Security Bloggers Network Hall of Fame. Current Position: As Strategist, Jack helps develop Tenable SecurityCenter and provide valuable insight to consumers about current IT trends.